Today is the kick-off for the Back to Homeschool Blog Hop. Today’s topic is Homeschool Methods. This is our 10th year of “officially” homeschooling. By that, I mean my oldest started kindergarten 9 years ago. But we had made a decision to homeschool well before that. Always wanting to be prepared, I started researching homeschool methods when my oldest was about 2. And when I research things, I tend to get a little, um, obsessed. So I had lots of ideas about how to homeschool and what curriculum to use well before I could actually use it. Unfortunately I have learned that it often isn’t beneficial to plan that far ahead. When you’ve never homeschooled, you can’t really know what you’re going to like until you’ve tried it. And you don’t know how your children are going to learn best either. In those early years, I was leaning heavy towards a popular curriculum that focused on reading real books. Then I discovered classical education, and my husband and I were very drawn to the ideas and precepts behind that educational model. Looking back on our early years and reflecting on where we are now, I can’t say that our school is really classical. Yes, we’ve taught Latin to our oldest children, but we didn’t do all the memorizing of facts in the early years that is important in the grammar stage*. *It is important to recognize that the definition of classical education is different depending on whom you ask. I wrote this description of the different views of classical education several years ago. With 5 children from 19 months to 14 years old, I have learned that I have to be flexible. I was privileged to interview Dr. Mary Hood on Relaxed Homeschooling, and I discovered that I was unknowingly incorporating many of the ideas of relaxed homeschooling into our home. We are definitely not completely relaxed because there are some subjects that I require and are scheduled. However, especially with the younger children, I’ve let some of the official teaching go and let learning occur more naturally. So I call our homeschool relaxed classical. It’s not the classical part that’s relaxed (you can’t really learn Latin without dedicated study), but I do try to allow plenty of time for the children to explore their own interests. David, my oldest, has taught himself how to edit videos and create computer games. Anna, my oldest daughter, spends a lot of time on crafts. But she also reads a lot of historical fiction on her own time. William, my middle son, reads the Apologia Elementary Science books on his own. He also memorized the Presidents of the U.S. on his own. Sometimes I start to feel guilty about all the things that I haven’t done. Then I’m reminded that the kids are learning all the time. Some of it is formal. Some is not. I’ve always wanted to go on intentional nature walks and keep journals. (I do have some Charlotte Mason tendencies). However this is not something I’ve successfully implemented. But we do study nature. I was able to use all my acquired knowledge on homeschool methods a few years ago when I was asked to write several homeschool articles. This article gives a good overview of all the different types of homeschool methods. So what about you? How do you describe your homeschool? Thanks for visiting Sunrise to Sunset. While you’re here, please follow my blog. (I lost a lot of followers when Google Friend Connect was limited to Blogger blogs!) 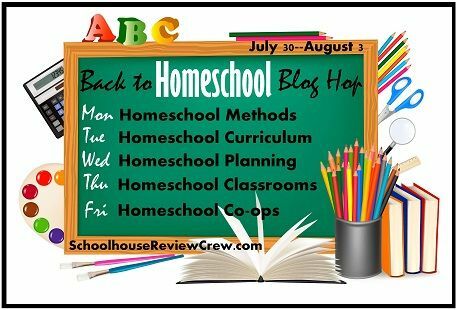 After that, please visit some of these other great blogs who are participating in the Back to Homeschool Blog Hop. I have always loved hearing about your homeschool journey precisely because I could sense we were very similar in our philosophy and method! You inspired my early years. I can definitely relate with everything you said. I love that your kids have time to explore their interests. I too wanted to have a very formal homeschool, but my daughter soon talked me out of that. We are now relaxed as well!